Berkeley’s Shotgun Players, with direction by Patrick Dooley, uses its firm grasp on the story and its characters to produce a captivating production that does justice to the intricacies of Stoppard’s writing. “Inside every gay man is a Black woman,” shouts Gus (Adam Donovan). What might have once been seen as funny and relatable here elicits groans. 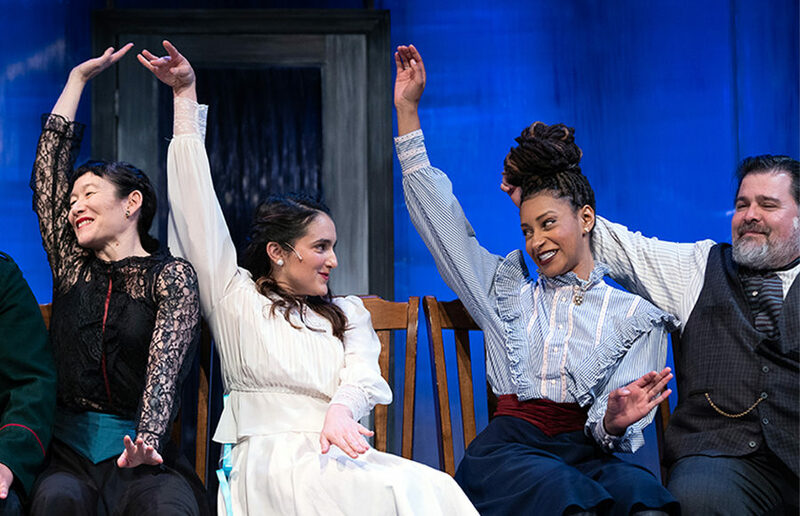 The show was able to combine a deeply literary text with the energetic airs of a musical theater production in a way that honored both traditions. The two actors are rehearsing an original adaptation of Ray Bradbury’s “All Summer in a Day.” The catch? They’re ninth- and 10th-graders in high school.